" When giving love and support to the less fortunate is such a great feeling. People really don’t realize how fortunate and take it for granted. To look in the eyes of someone that less fortunate than yourself is so heartbreaking. One day you can be walking in those same shoes." What if you had no shelter, no clothes, no money, and no food? What if you had to suffer all the time and struggle, just to make it through the day? 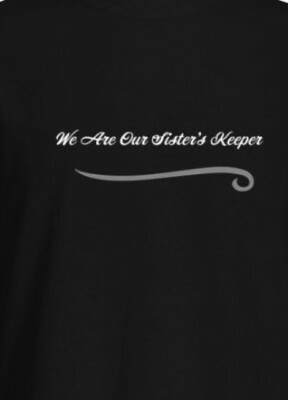 The members of We Are Our Sister's Keeper know what it feel like not belonging and having nowhere to turn. We all have a story and a testimony. We belive that you must be kind and show compassion to others. There are so many people that is hurting and they feel that no one cares. Mother Teresa’s quote reminds me of the widow in Mark 12:41-44. This widow was only able to give a couple cents to the offering while many rich people around her were able to give significantly more.